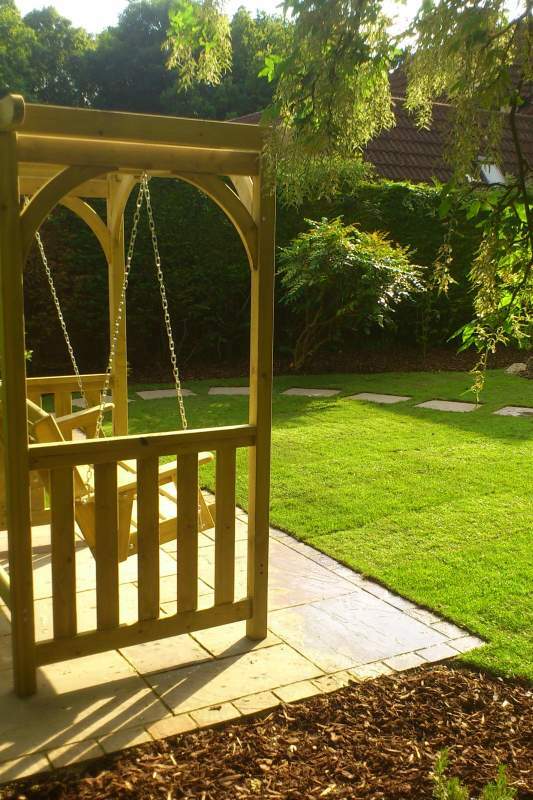 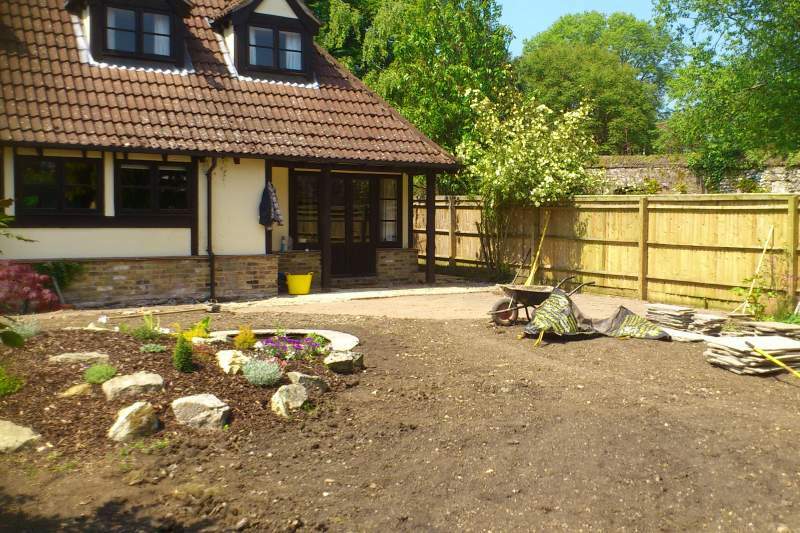 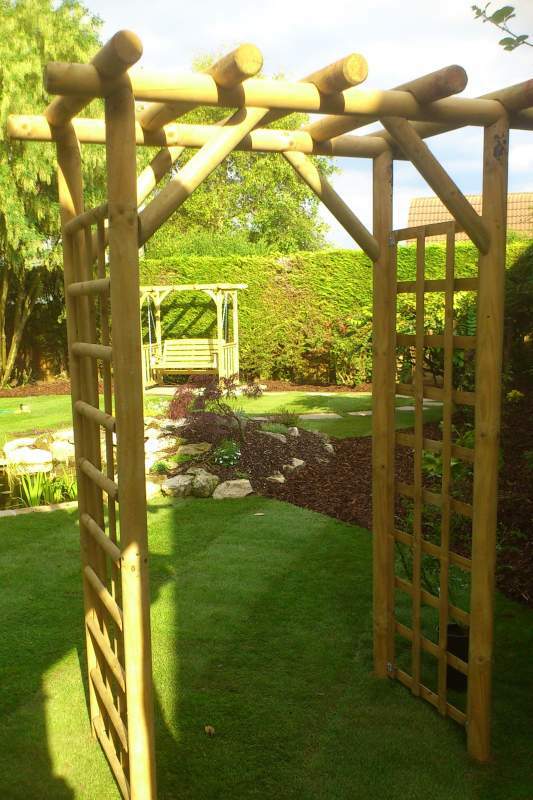 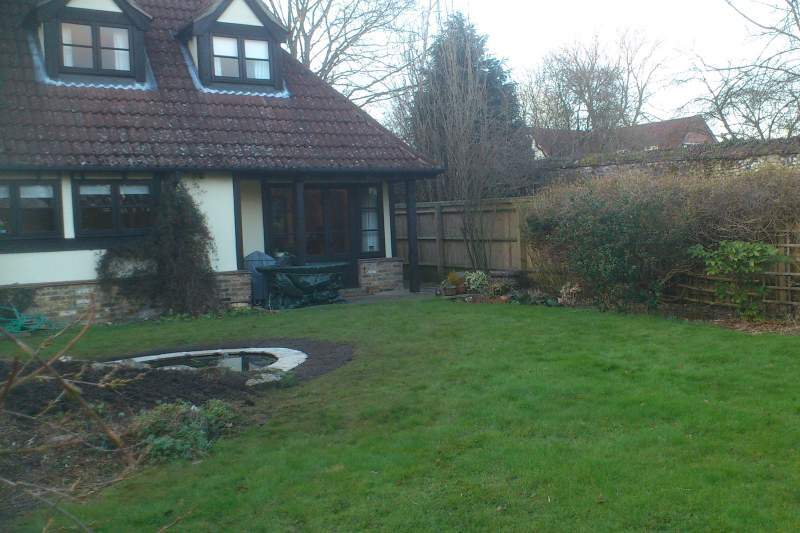 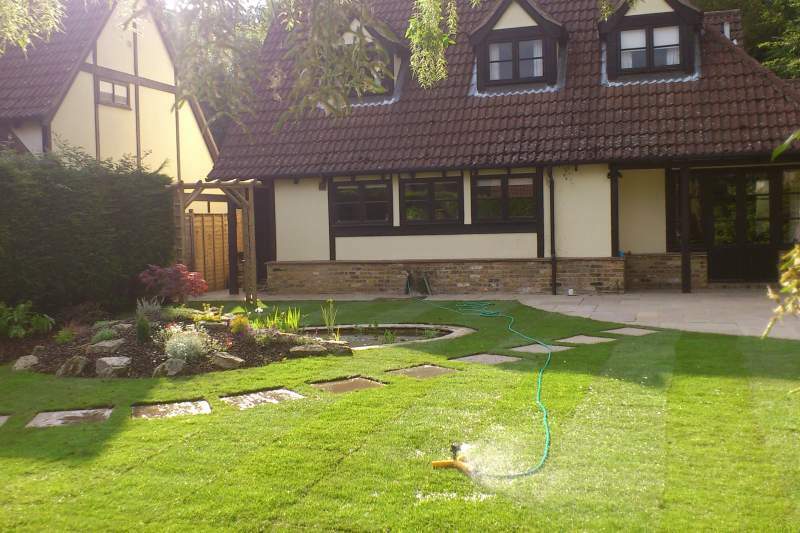 Having spent the last few years overcoming a ground elder and badger problem, the owners of this property in Berkhamsted decided they were ready for a complete garden revamp! 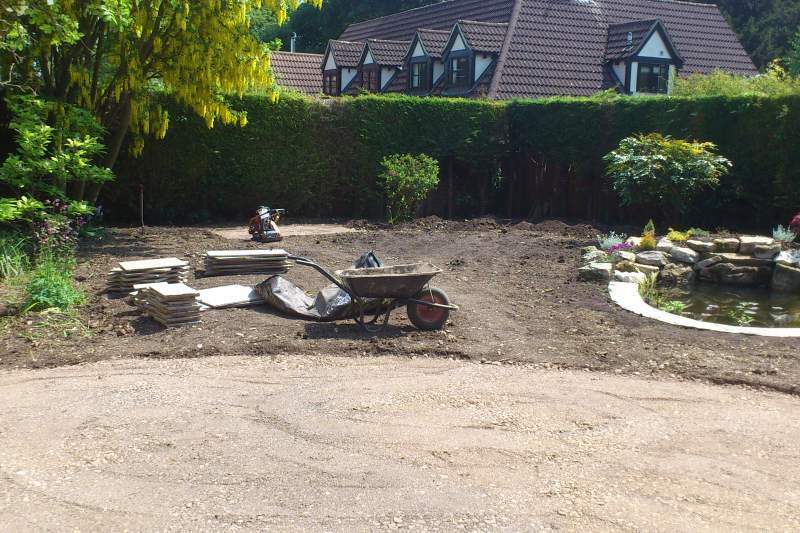 Pretty much everything was to go apart from a glorious laburnum and a recently rebuilt garden pond. 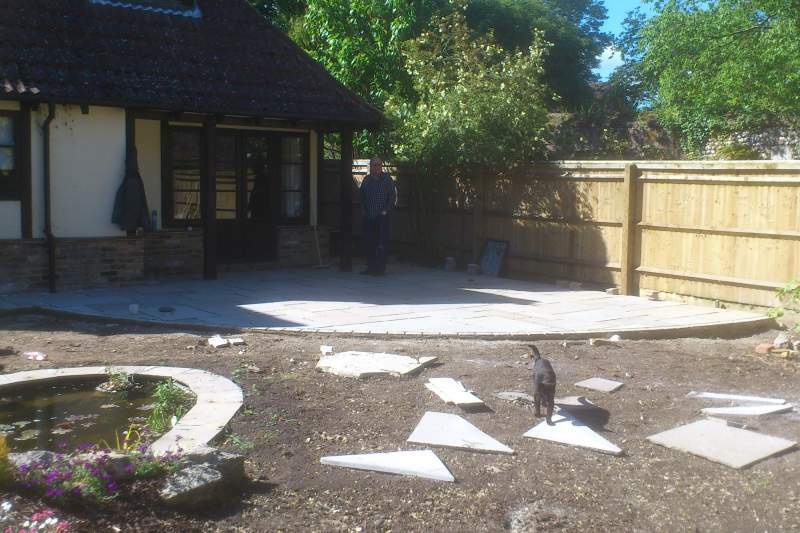 The patio was almost non existent so they were after a much larger area to entertain and enjoy the sunny afternoons and evenings. 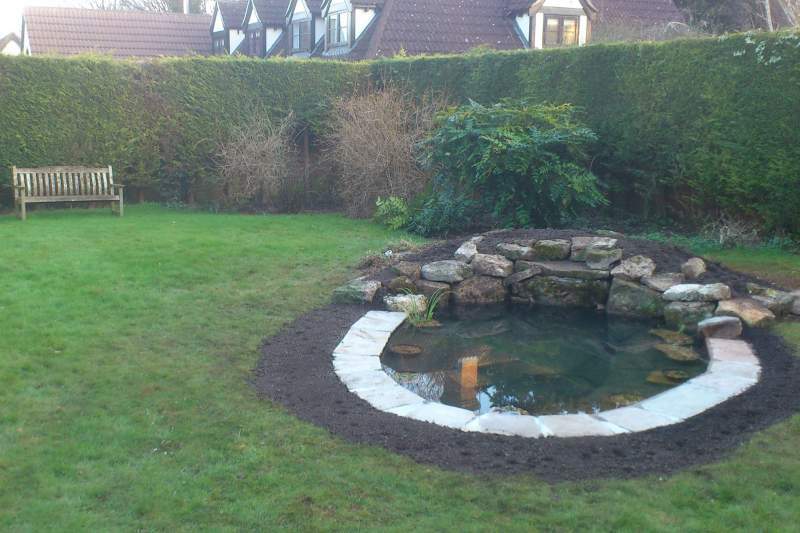 Another key requirement was to tie the aforementioned pond into the rest of the outdoor area so it no longer seemed marooned or at odds with it’s surroundings. 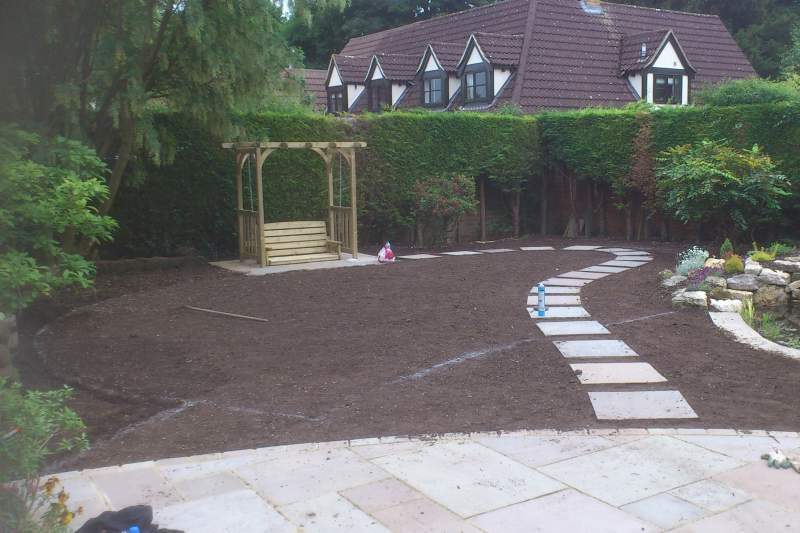 Having received the brief we got to work on planning the new garden. 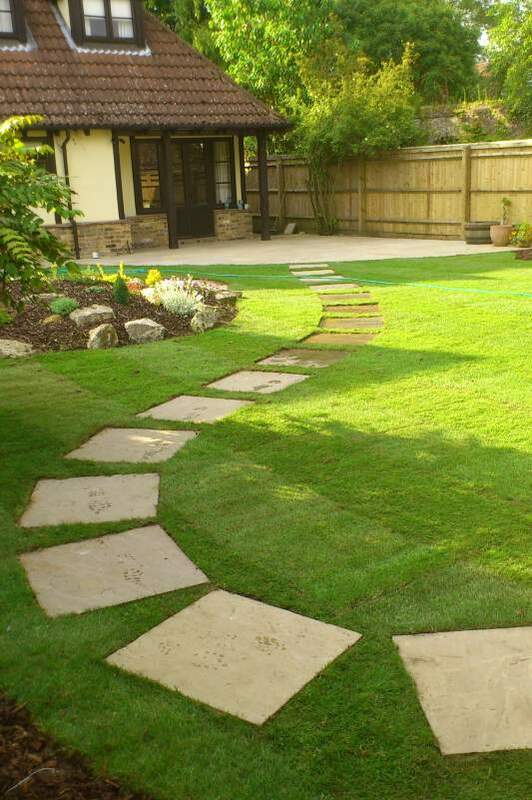 The landscape design was kept simple, basing the layout on a series of circles. 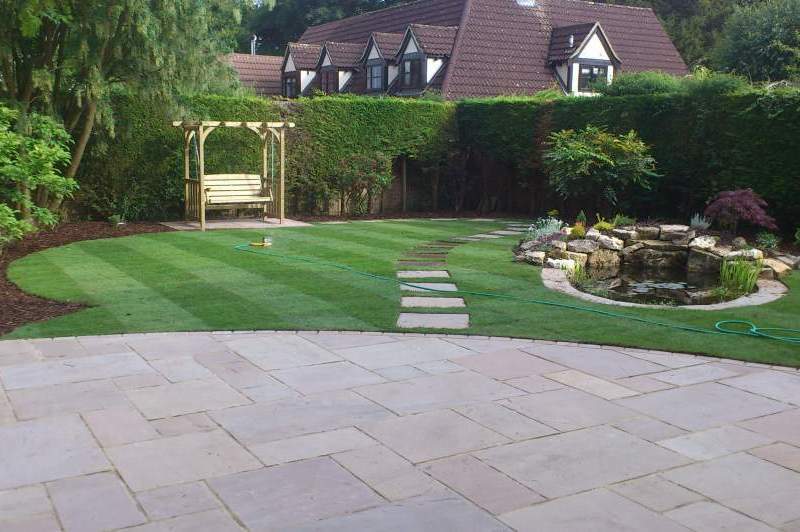 At it’s heart was to be a winding path of stepping stones set within the lawn, taking a route that skirted around the pond, winding it’s way towards a new bedding scheme before finally finishing at an arbour set beneath the laburnum.